David counsels high-net-worth individuals, multi-jurisdictional families, closely-held businesses, and fiduciaries on U.S. and international tax, wealth management, and estate and trust planning. This often includes strategic planning related to income and transfer taxation, U.S. and non-U.S. trusts, tax-efficient, cross-border investment structures, pre-immigration planning, tax reporting and regularization, and Foreign Account Tax Compliance Act (FATCA) and Common Reporting Standard (CRS) compliance. 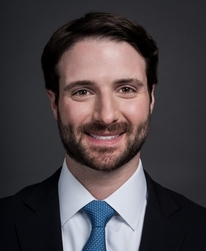 Prior to joining our firm, David worked in the Private Wealth Management group of an international law firm in its New York City and Zürich offices.